Very good plus wine with ripe black berries and blueberries over mocha, white pepper, baker’s spices and a deep floral note. The fruit has medium plus concentration and intensity. The medium tannins are ripe and smooth. The wine has good complexity and finishes long and with a coffee note. Drinking well now and for 5-6 years. 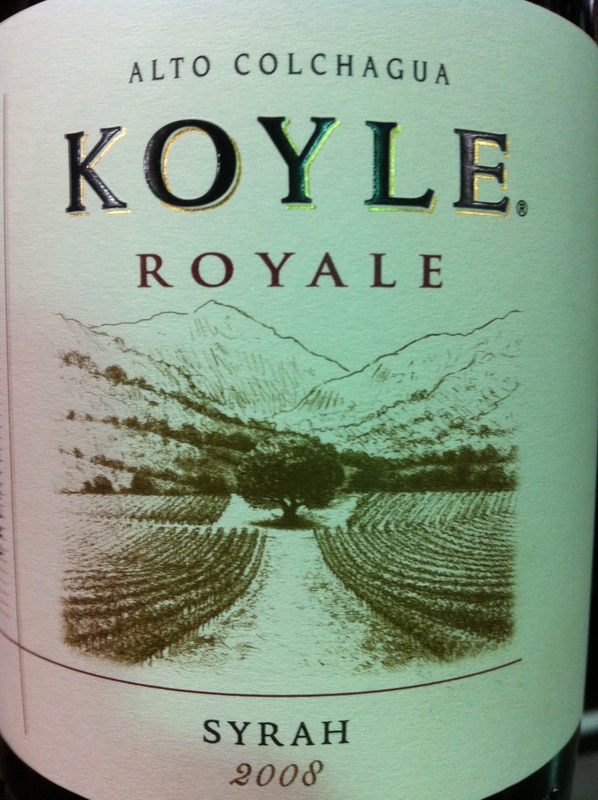 This entry was posted in All and tagged Chile, Colchagua Valley, Koyle, Syrah, Wine by Chile Copa de Vino. Bookmark the permalink.